If you need to sign up to a Bulk Email Friendly Server for sending your GroupMail Messages, we would highly recommend using SMTP2GO who provide a very reliable Service for sending Bulk Emails..
SMTP2GO offer all our Customers who have purchased GroupMail 10,000 Emails per month absolutely Free! 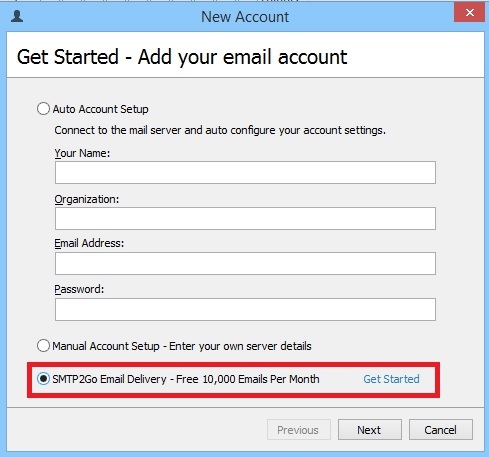 You can sign up for an SMTP2GO by clicking on the “Getting Started” Link within the Account Manager (see image below). Should you need to send more messages per month, don’t worry, they offer additional packages at competitive prices which you can choose from, so sign up quick! 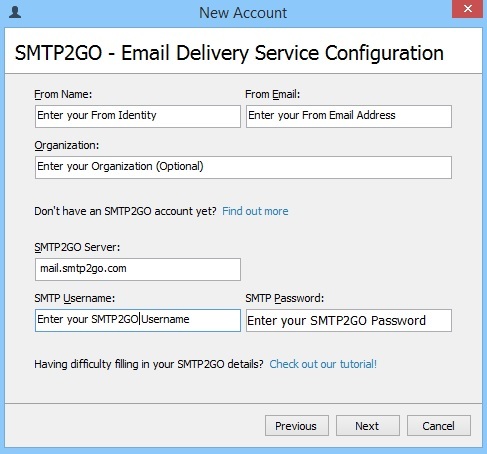 Once you have an SMTP2GO Account, you can configure GroupMail with the SMTP2GO email settings to send your Newsletters and other group emails through the SMTP2GO Mail Server. 1, In GroupMail, under the Tools Menu, Account Manager, Click on New. 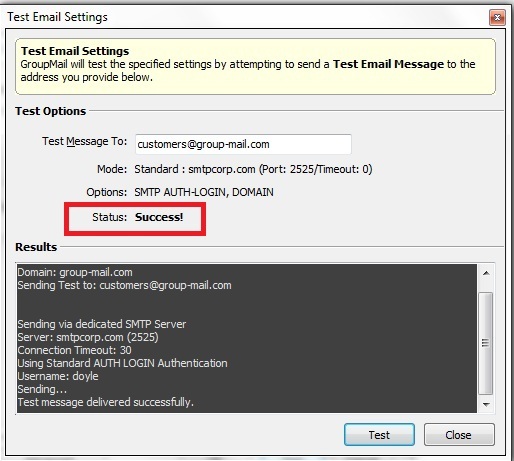 Select the Option “SMTP2GO – Reliable Email Delivery Service” and press Next. 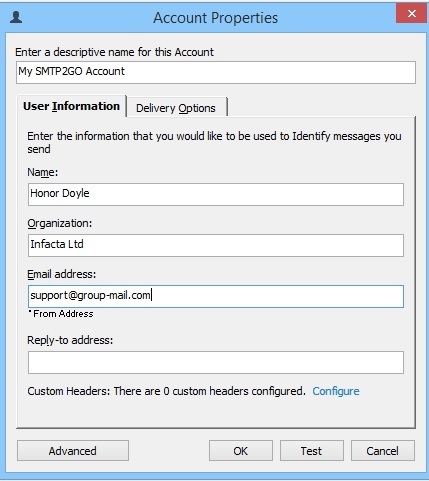 Note : It is important to enter your SMTP2GO SMTP UserName and Password that you used when you signed up for your SMTP2GO Account. The Account Properties Screen, User Information Tab and Delivery Options Tab simply allow you to re-edit any of the details you have already entered. Once satisfied simply click on the Test Button to send a Test Message to ensure that your details are working successfully. Status : ‘Success’ indicates a successful Test Message has been sent and that you are ready to start using this Account to send your GroupMail Messages and Newsletters. This offer with SMTP2GO is subject to their terms of service.